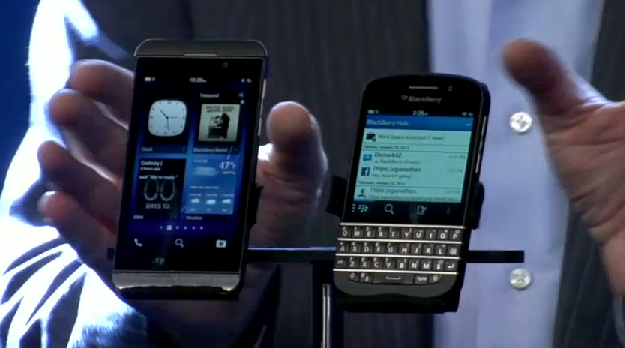 The new BlackBerry Z10 and Q10: When can you get one? Check out our full reviews of the BlackBerry Z10 and BlackBerry Q10 phones. BlackBerry 10 and the Z10 and Q10 smartphones have been officially launched, after what seems like months and months of teasing and preparation. You’ve seen the event and are now keen to get your hands on one or other of the new phones, so when will that happen? According to CEO Thorsten Heins, the UK will be the first to have the chance to purchase a BlackBerry Z10, which will go on sale tomorrow – that’s January 31 – on all of the major networks. Canada will be next to get the Z10, as it will be released on February 5, which is the same date China will see the release of the new phone, followed by locations in the United Arab Emirates on February 10. The U.S. has to wait though, and Heins only committed to a March release for the touchscreen Z10. No mention was made of the BlackBerry Q10, sadly. Pricing was also glossed over, as it will vary from country to country and network to network. One slight concern for Canadians was the mention of a $149 price tag provided you sign up for a three-year contract. That’s an awfully long time, and we can’t imagine who’ll be prepared to commit for that long. It’s not the case at Verizon anyway, as it has announced it’ll be stocking both the Z10 and the Q10, which will be priced at $199 with a two-year contract. The white Z10, which made a brief appearance on stage at the launch event, will only be available through Verizon too, but no release dates have been provided. In the UK, 02 has a two-week limited offer where it won’t charge anything for the Z10 provided you’re willing to pay £36 per month for two-years. Vodafone has priced the Z10 at £29 with a £42 per month tariff, or £47 per month if you want the phone for free. Three, Carphone Warehouse and Phones4U will also all be selling the Z10, but have yet to confirm prices. Keep checking back as we will bring you all the details as they’re released.